Krav Maga the hard way or training hard with good techniques? I’ve trained Krav Maga more than 10 years now, the first 5 years I’ve been trained the hard way. 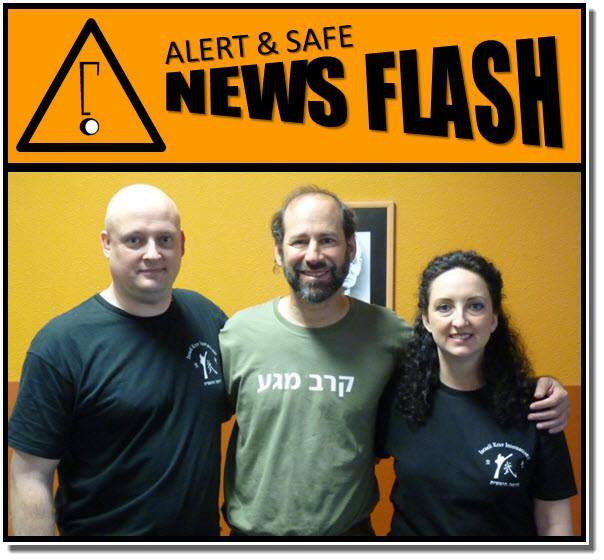 After 5 years I started my own Krav Maga school (together with my husband) after we joined IKI (Israeli Krav International) with head instructor Moshe Katz, he really taught me Krav Maga because he teaches me techniques I’ve never done before. I’ve been trained by several Krav Maga instructors and what most of them taught me was to receive a lot of bruises, train your body to be strong, hit your attacker as hard as you can and train boxing and kicking techniques, handle with the disappointment of losing every fight. But how can I survive an attacker who’s 1.80 meter tall and weighs 110 kg and is as strong as a horse while I’m 1.62 meter tall with a lot less weight and not strong at all, well I’ve never won a fight until I met Moshe Katz. While I started my own Krav Maga school and have been taught Krav Maga by Moshe Katz who taught me a lot of techniques I started to notice that I could win a fight and that the effect of good techniques absolutely increases my chances to survive an attack more than only beating and kicking the attacker. I also saw that my students are doing very well in comparison to students from other Krav Maga schools while they are training together, only by staying calm and read the body language of the opponent and use good techniques. Now I even train very big, strong police officers who are also at a SWAT team, they even tell me that with their strength it’s hard to win against my techniques learned by Moshe. So my conclusion is as following, you can train Krav Maga the hard way with less techniques but it will cost a lot of your body, bruises and physical wear. If I still stayed training the hard way like I did the first 5 years I would be done by now with a lot of injuries and physical wear, but if you train hard on good techniques you will have double advantage, it won’t take such a physical wear as well as it increases your changes to survive an attack. Moshe thank you very much! Please see their website. Alert and Safe. Just another proof on how IKI method is different and and how much effort and study was involved to make it unique and effective!